Lenovo S60W, the best budget 4G smartphone under Rs 10,000 launched in Chines market. Lenovo S60W is up for pre-order in China priced at $159.99 will be available from 10th June in Pearl White, Graphite Grey and Laser Yellow colour option. 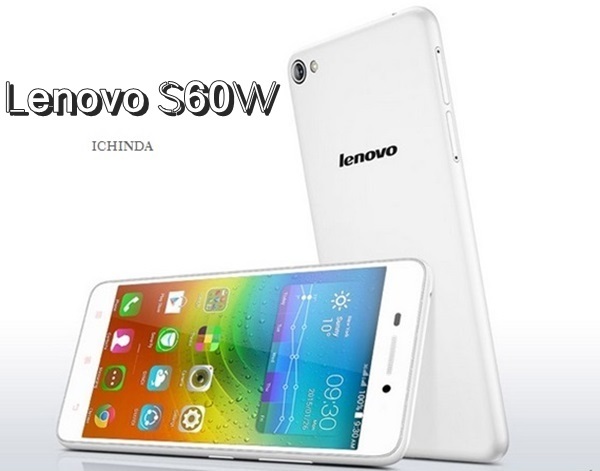 Lenovo S60W expected to launch by July in India priced Approx. Rs 9,999. It will take on Meizu M1 Note, Xiaomi Redmi Note 4G, and Microsoft Lumia 540 Dual SIM. The all new Lenovo S60W supports Dual-SIM(Micro + Nano), 4G LTE, 3G, GPRS/ EDGE, Wi-Fi 802.11 b/g/n, GPS/ A-GPS, Micro-USB, and Bluetooth comes with a bigger 5-inch HD IPS display with resolution (1280×720 pixels)offers you stunning colour consistency with wide-angel HD viewing perfect for watching movies, playing games and reading e-books. Lenovo S60W is powered by a fastest 64-bit quad-core Qualcomm Snapdragon 410 clocked at 1.2GHz and runs on Google’s Android 4.4 kitkat OS with Vibe UI on top, 2 GB RAM, 8GB Internal memory and 32GB expandable memory promising blazing multi-tasking. Lenovo S60W sporting a 13-MP auto Focus Rear camera with Dual-LED flash featuring low light enhancement, Panorama, geo-tagging, burst shot, smile shot, and HDR options for shooting promising superior photography in any condition and 5-MP front camera best for video calling and selfies powered by a 2150mAh battery with Quick Charge promising Talk Time up to 30 hours and standby time up to 14 days measures 143 x 72 x 7.7mm and weight 130gm. Lenovo S60W also comes with a pre-installed proprietary DOit apps like SECUREit, SHAREit and SYNCit which allows you to phone-to-phone data transfer without Wi-Fi and Bluetooth. When will it be lanched?